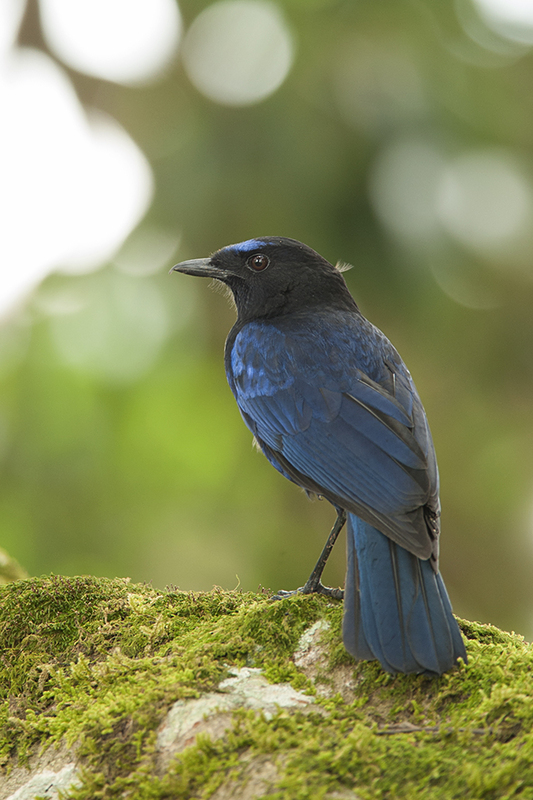 Right from the time we checked in at Stanmore bungalow of the Briar tea estates in Valparai, the call of the Malabar Whistling Thrush had been ringing in my ears. 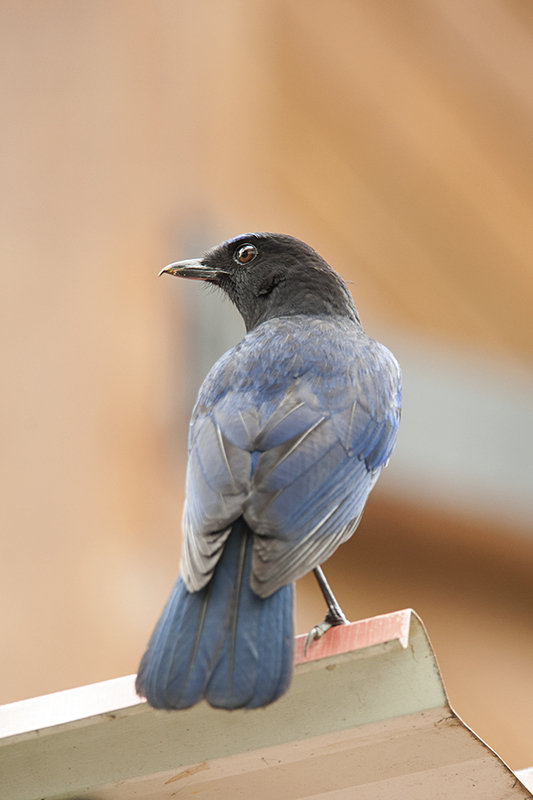 When I checked with the staff, they told me that there was a resident Malabar Whistling Thrush on the property and if I was patient, I would be able to get some nice pictures. I first spotted the Thrush sitting close to the area where it had built its nest. 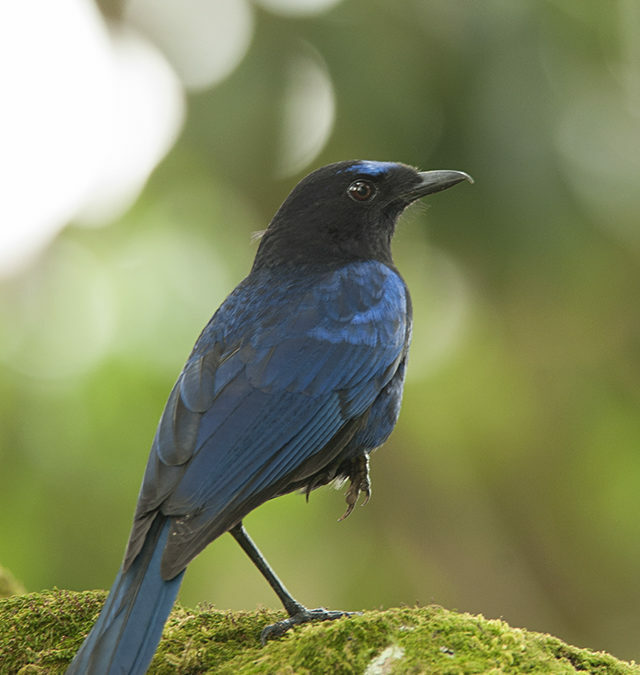 Seeing my new found interest in it, the Malabar Whistling Thrush quickly move to the huge mango tree at the centre of the property. 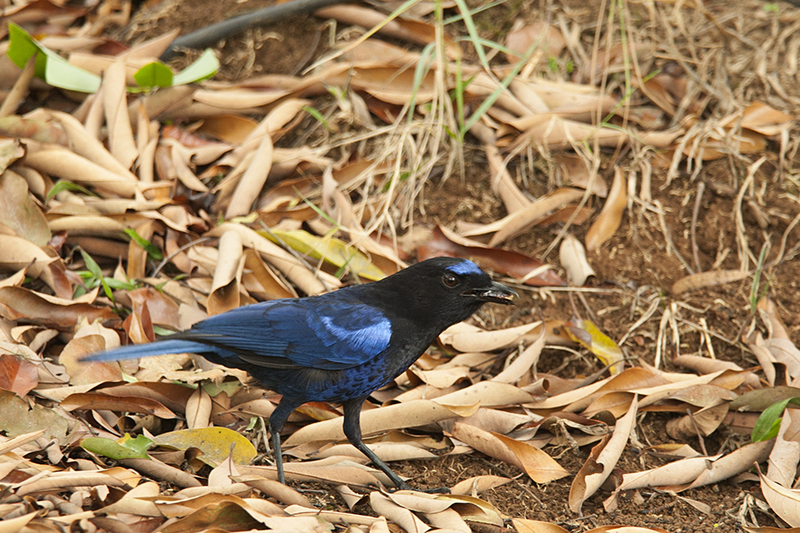 After a while it got comfortable with my presence and went about its job of foraging for insects, worms etc. 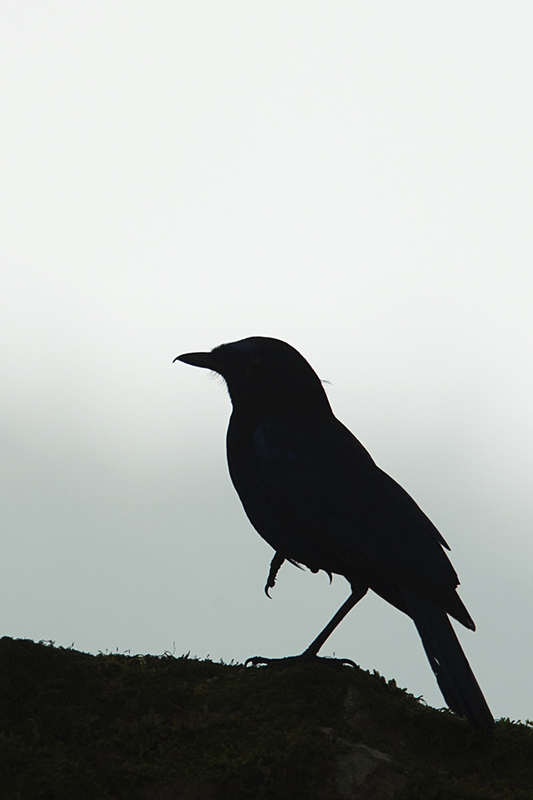 Every now and then it would take a breather and when the skies got cloudy, it settled onto a branch and eased into a one-legged stance. At one point it was so motionless, that I quickly took a nice Silhouette composition. 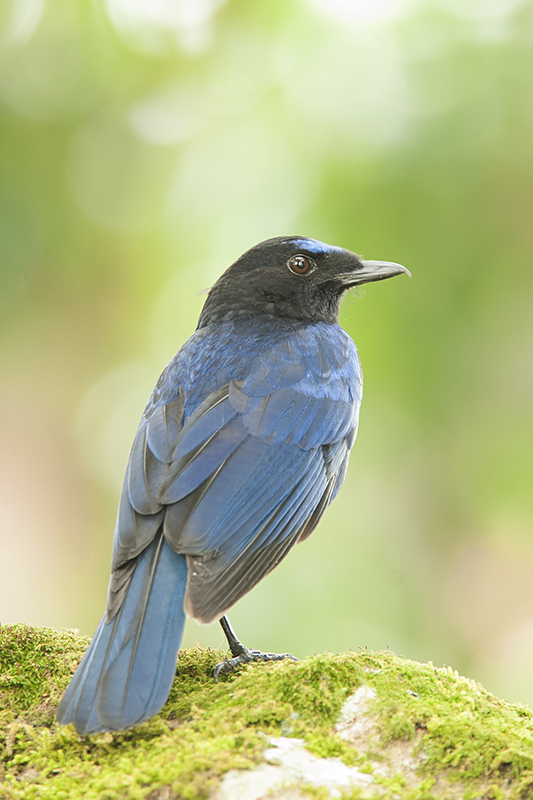 With nothing else to photograph, I waited for the Malabar Whistling Thrush to change its stance to the other leg and composed yet another one-legged stance. Soon it started to rain and I had to leave this friendly specimen. While it rained, I settled on the sit-out of the cottage that I was staying in and sipped a cup of cup of tea, watching the rain play-out a musical orchestra for me. Very engaging text and photographs.